The Indiana University Bloomington School of Public Environmental Affairs and the University of Kansas have released a new report concerning the economic factors pushing clean transportation forward. Clean transportation — and renewable energy in general — is often considered to be an environmental issue. Conventional vehicles produce emissions that have a drastic effect on the environment and automakers are being pressured to develop cleaner vehicles that produce no emissions. According to the report, economics may be pushing automakers to develop clean vehicles rather than the environment. Throughout the world, governments are adopting emissions reduction policies. 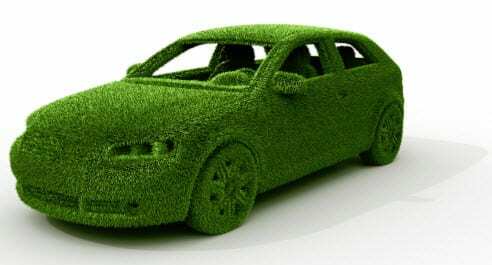 These policies put restrictions on the emissions that can be produced and automakers have been feeling the need to comply with these regulations in order to retain their place in prominent markets around the world. The report highlights the clean transportation policies in many large countries, including China, the U.S., and Germany and sheds light on the reasons behind the auto industry’s strong interest in clean vehicles. The report found that there is a great deal of activity in the electric vehicle market despite the fact that there are relatively few electric vehicles available today. Much of this activity comes from the world’s governments, many of which are working to establish a dominant presence in the market. China is one such country and has begun to see electric vehicles as an economic solution to some of the country’s problems. The U.S. and Germany are also showing similar motivations, showing support for clean transportation due to its economic prospects. The report notes that a massive amount of money is being invested into the electric vehicle market by government organizations despite doubts concerning the viability of electric vehicles. Economics has begun to drive the adoption of renewable energy more than any other issue. While renewable energy is often linked to mitigating climate change, large and small countries alike are showing more interest in clean power because of economic gain. The report notes that the electric vehicle market has been showing impressive growth in terms of sales, leading more governments to believe in the economic prospects of clean transportation.